Medibank’s fortunes are rising thanks to a “substantial turnaround” in customer advocacy and retention, driven by consistently delivering a better customer experience, more value and recognising customer loyalty, according to CEO, Craig Drummond. “These improvements have seen market share grow five basis points over the past six months. This is the first time in a decade we have experienced growth over a six-month period,” Drummond said in announcing the company’s full-year 2018 results. The ASX-listed health insurance provider made the announcement as part of its 2018 full-year results presentation today. 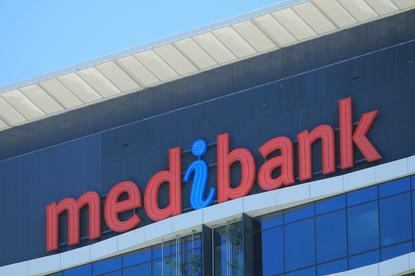 While Medibank Private reported a 1 per cent slide in full-year profit, there are signs the business is stabilising and making a solid turnaround. Medibank reported a group net profit after tax of $445.1 million, down 1 per cent from $449.5 million. Other highlights included a group operating profit of $548.8 million for the financial year ended 30 June, up 9.7 per cent. Operating profit in health insurance rose 7.7 per cent to $535.6 million, backed by revenue growth of 1.2 per cent and lower costs. Other results show $5.3 billion in benefits was paid to customers and $35 million was generated in additional value to customers. Medibank's latest progress fits nicely into its core strategy of transforming the organisation into a broader health services company, Drummond noted. “We are now positioned for growth with a focus on leveraging our dual brands, building competitive advantage in health insurance and transforming into a broader health services company,” he said. Recapping on successful customer achievements of 2018, Medibank reported a 20 per cent year-on-year improvement in brand Net Promoter Score (NPS), and recorded better customer satisfaction. The company said it plans to continue its customer advocacy efforts and will aim to drive service and brand NPS for Medibank and ahm to be best-in-class against major private health insurance peers. By 2020, it hopes every Medibank customer will have at least one health interaction through the year with the company. It also plans to more than double the number of customers receiving Medibank at Home services in 2019. “We have made progress in scaling Medibank at Home, providing customers with choice over how and where their healthcare is delivered,” Drummond said. As part of the core customer moves, Medibank outlined three key strategies and priorities for 2019. The company said it aims to deliver differentiated products and services for customers; continue to improve healthcare value for customers; and expand the offering for customers and grow the business. As part of the effort to differentiate products and services, the company said it aims to transform its relationship with customers to a more personalised and proactive experience. A key pillar involves recognising and rewarding customer loyalty. The Priority program - aimed at members with 10 years or more - was launched in the second half of 2018 alongside a $20 million one-off customer giveback. Drummond said customer feedback, in particular, has been very positive on the Priority program it launched this year, as well as on the rollout of the $20 million one-off loyalty bonus. “The next step will be the launch of our Live Better loyalty offering which will reward customers for taking healthy actions.” The target launch of the program is slated for March 2019. The company is also investing in data to help it better understand customers and personalise the experience. As an example, it’s providing healthcare services at the customer’s choice of location, including the home. It also has several trials underway with nurses in the contact centre and nurse Web chat, to integrate health expertise across the frontline, in addition to its Health Concierge program. Health Concierge, for example, engaged with more than 13,000 customers during the financial year, including several new customer groups, the company reported. The company also claims to be providing better information and new tools to help customers make more informed healthcare choices. In addition, there's ongoing investment in digital self-service enhancements and an increasing number of customers registered to use its digital channels (Medibank +40 per cent, ahm + 7 per cent). Another initiative is improving transparency in a bid to improve its healthcare value. Under the plan, Medibank aims to reduce unexpected out-of-pocket costs for customers through the delivery of Medibank’s Procedure Cost Estimator. Medibank said its interactive tool, ‘People Like You’, is helping customers understand their potential health needs and understand the common hospital procedures within their demographic, based on claims data. It is also in consultation with hospitals around publishing Patient Reported Experience Measures Survey (PREMS) data.